Are you ready to play with some mud? The “one room school house” waits for you. 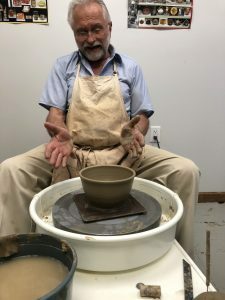 We are looking for potters with some experience who want to advance their skills, under the guidance of John Langer, an experienced studio potter, in a small class setting, 5-6 students. After completing this series, open studio time is available for participants to hone their skills. The 5-class series will be held Tuesday mornings from 9:90 mm – noon. 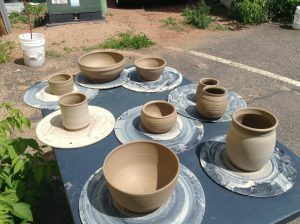 Includes 16 hrs of instruction, 25 lbs of clay, firing, and glazing.